"The natural way of meditation is not to know many things but to forget everything. Then you will know everything." 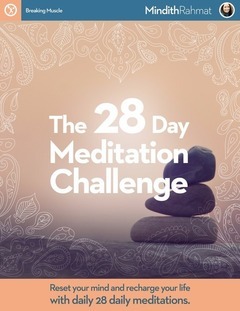 This challenge is a simple and effective daily practice. It will teach you the principles of meditation and grow your personal practice day by day. Each practice outline is unique and teaches a different lesson. Throughout the 28 days, your practice will grow and evolve, resulting in a more calm, peaceful self.